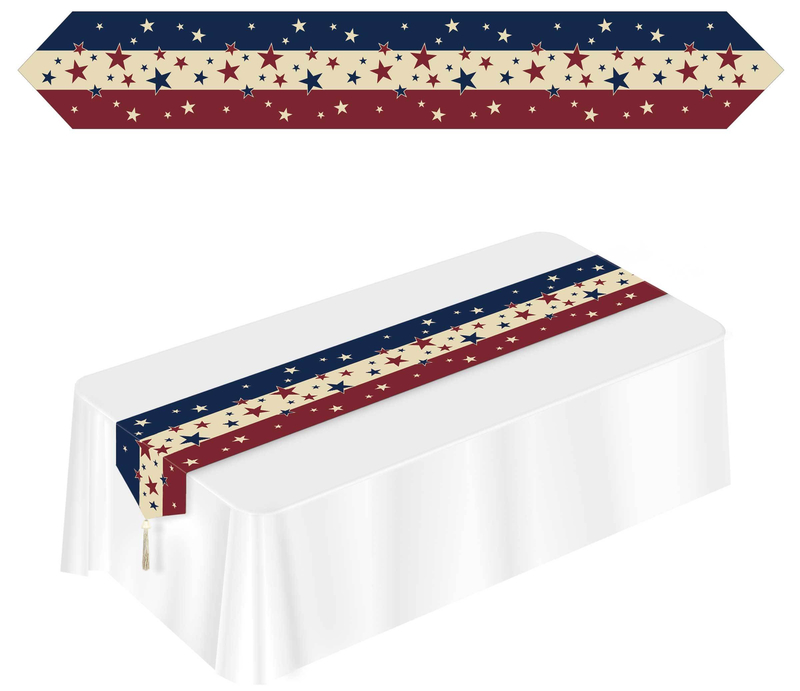 Summer is quickly approaching and it’s time to think about decorations for your upcoming 4th of July parties! If you’re feeling patriotic and would like to add a bit of red, white & blue to your summer decor, we have some great ideas for you! Beistle has recently incorporated some “Americana,” decorations in with the rest of our patriotic theme. 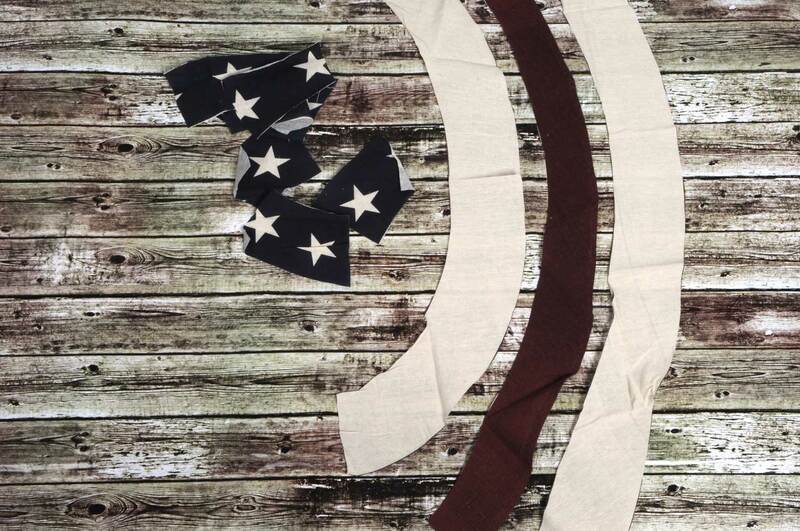 These items have a more “rustic” look than our typical bright red, white & blue decorations. Personally, I love these! 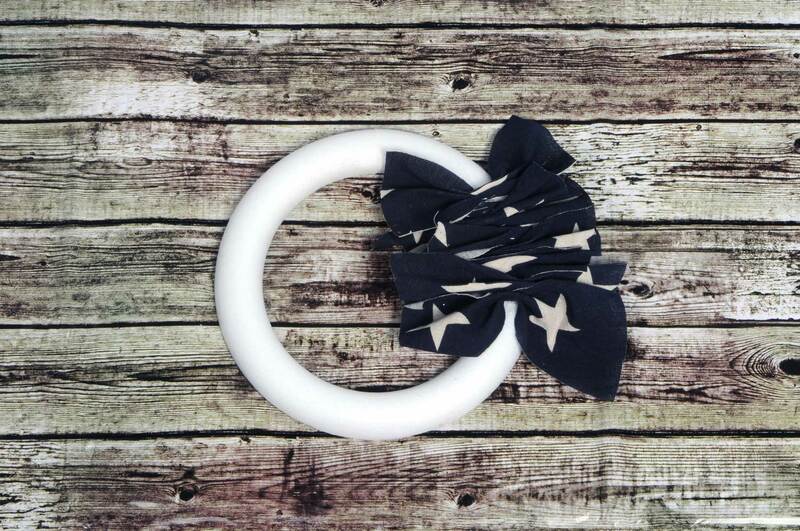 Their classic, timeless look is perfect for any patriotic themed party and can even be used as everyday home decor. 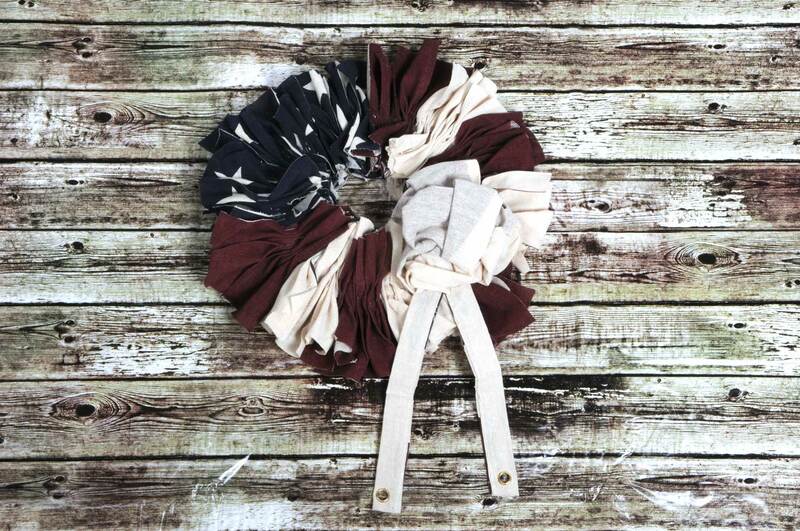 See below for examples of our current “Americana” style decorations as well as a DIY tutorial of how you can make your own Rustic Patriotic Wreath to use in your home. Take your Fabric Bunting out of the packaging and lay flat on the floor or table. Using your scissors, cut the fabric bunting in to strips. Just follow the lines printed on the fabric separating the colors. Once you have the stripes cut apart, cut them again in to sections approximately 4″ wide. 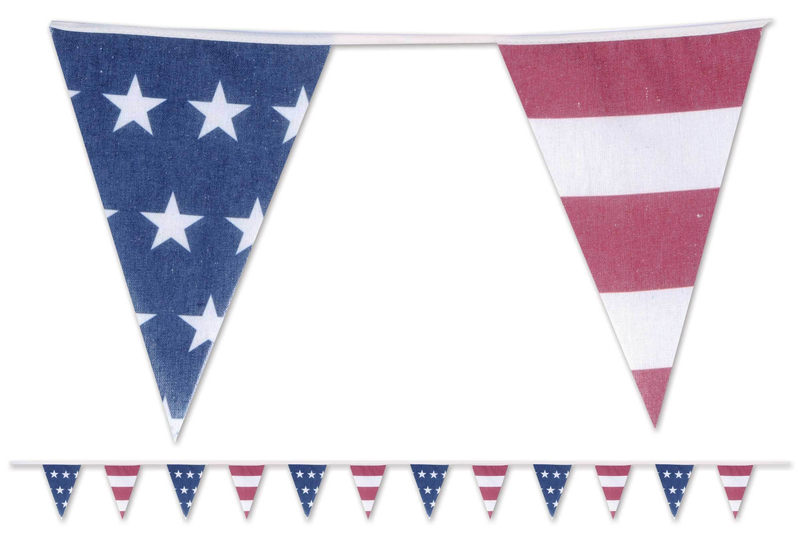 Be sure to save the very top of the bunting (the stripe with the grommets). We will use this for something later on. 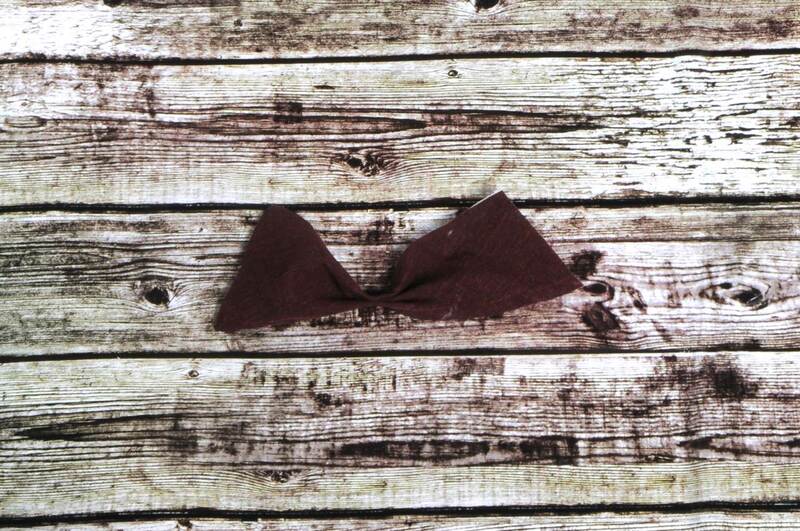 (See Image Below) Pick up one of your 4″ pieces and fold in to a bow-tie shape. Staple in the center of the bow-tie to hold in place. Repeat the step above with the remaining 4″ sections. (See Image Below) Begin gluing you bow-tie pieces to the styrofoam ring. Create a larger section using all of the blue pieces and smaller stripes with the red & white. Once all of your sections are glued to the ring, grab the white stripe we set aside earlier (the piece with the grommets). Fold the stripe in half and cut two tails that are about 7-8″ long. The grommets should be on the bottom of the tails. With the remaining material, fold/bunch in to a bow shape and use the hot glue or stapler to hold the shape in place. Glue the two tails to the back of the bow that you just made. (See Image Below) Attach your bow to the front of the wreath you just completed. It’s that easy! Thanks for stopping by Party with Beistle and checking out how you can make your own Rustic Patriotic Wreath. 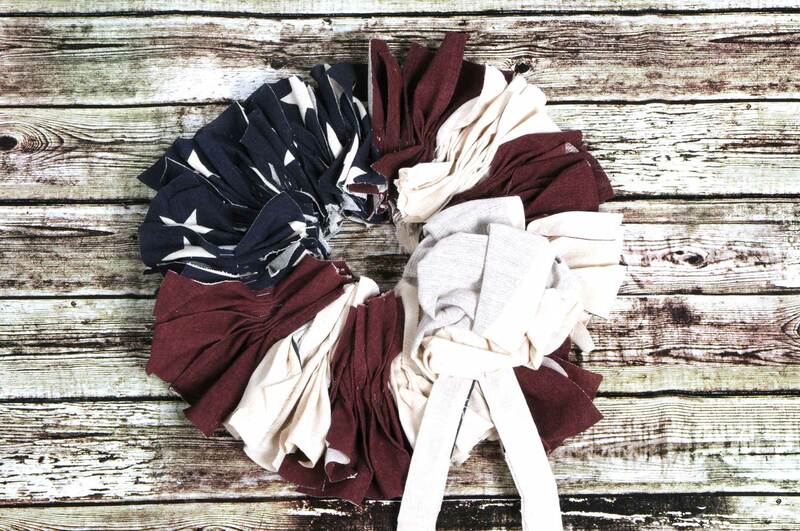 For other “Americana” items that would coordinate nicely with your new wreath, see the images below! 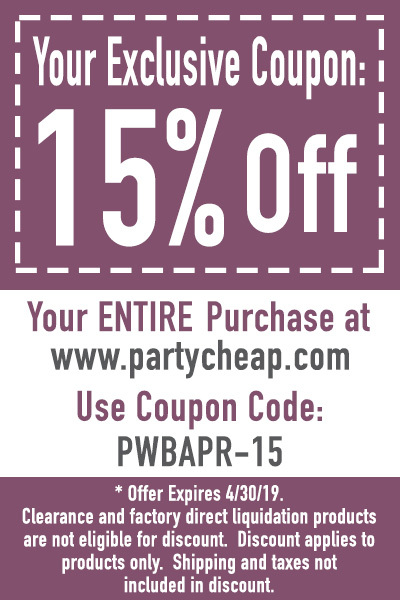 To get the materials to create your own Rustic Patriotic Wreath, visit www.partycheap.com or click on one of the links. (Don’t forget to use your exclusive coupon code found on my “Shop” page).